Russia’s national flower, the chamomile, is an adorable little bloom with highly recognizable snow white petals and bright yellow center. Russia made its official declaration about the flower in 1998. Its name comes from Greek and means “earth apple.” However, it was first cultivated in Russia and some parts of Asia. Found almost everywhere on the vast territory of the country, the flower is deeply rooted in the Russian culture. 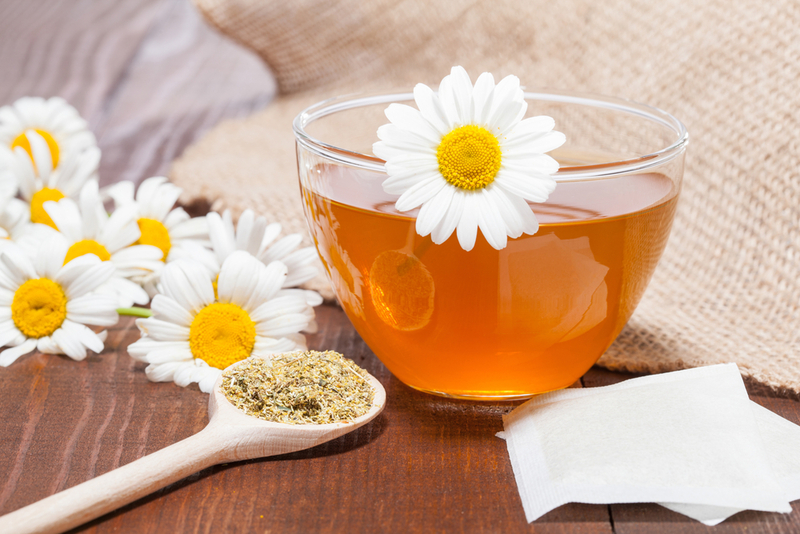 Chamomile has always played an important role in the life of the people who used it for many different purposes, from treating various health conditions to enjoying its mild taste in drinks. To this day, Chamomile tea is a staple in every family and a great idea for a gift to Russia. Without further ado, here’s our guide to everything you need to know about Russia’s national flower: the chamomile. Chamomile is one of the most ancient medicinal herbs known to mankind. The flower’s amazing medicinal properties have been recognized since ancient times. There’s enough evidence indicating that both ancient Egyptians and Romans used chamomile in teas and beverages, balms and ointments, incenses and perfumes. Did you know that Russia’s national flower has also been a popular cold remedy for thousands of years? It means your grandmother was right when she was trying to treat your fever with a chamomile tea. Actually present-day herbalists still use this wonderful plant all over the world for its healing properties for treating a number of conditions, from stress and insomnia to skin and stomach disorders. Many different preparations of chamomile have been developed since the early days, but a lot of the old favorites still remain. The most popular application for chamomile is, of course, delicious herbal tea. Around the world, people consume more than one million cups per day! 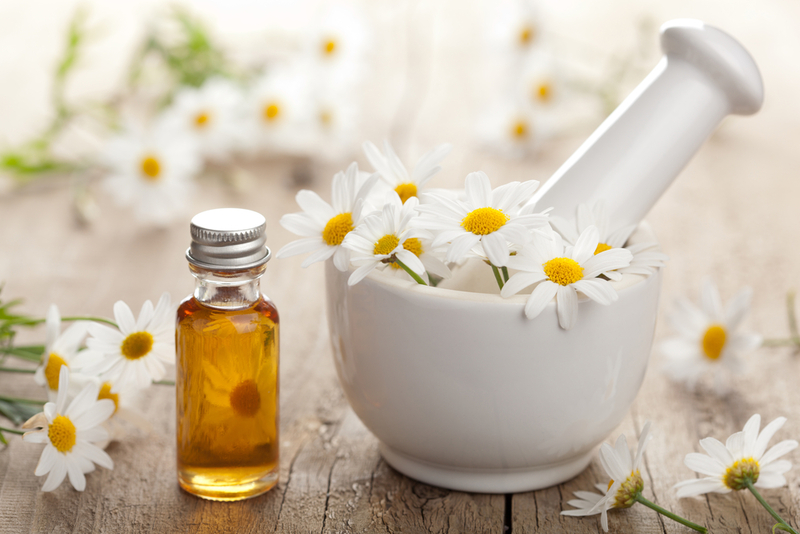 Essential oils of chamomile are used extensively in cosmetics, skincare and aromatherapy. Chamomile, a therapeutic plant promoting human health is officially recognized as a drug in 26 countries. It’s one of those jack-of-all-trade miracle plants that can be widely used to solve a variety of health concerns without the use of synthetic drugs. Along with its widely recognized sleep-inducing properties, Russia’s national flower has powerful anti-cancer, anti-inflammatory and antibacterial effect, help treating wounds and reduces muscle spasms. Flavanoids, volatile oils and other therapeutic substances in this amazing plant also help fight anxiety and stress. Drinking a cup of chamomile tea 30 minutes before going to bed helps with quickly easing into a restful night’s sleep. This caffeine-free natural relaxant will help you unwind after a stressful day and feel more rested in the morning. It’s so safe and easy on your stomach, you can even give it to fussy infants to promote good sleep. If you’re experiencing the first symptoms of a starting migraine, a cup of chamomile tea can prevent it from getting worse. If you’re experiencing irritable stomach syndrome chamomile tea will help to sooth stomach ache, promote bowel movement and assist in overall digestion. A universal therapeutic agent promoting overall health, chamomile has natural immunity boosting properties essential for our well-being. While it doesn’t help to stop the blood, chamomile tea helps to take away the pain and heals wounds and cuts faster than usual. Due to both its calming effect and the ability to reduce pain, chamomile happens to be a wonderful natural remedy for teething babies. 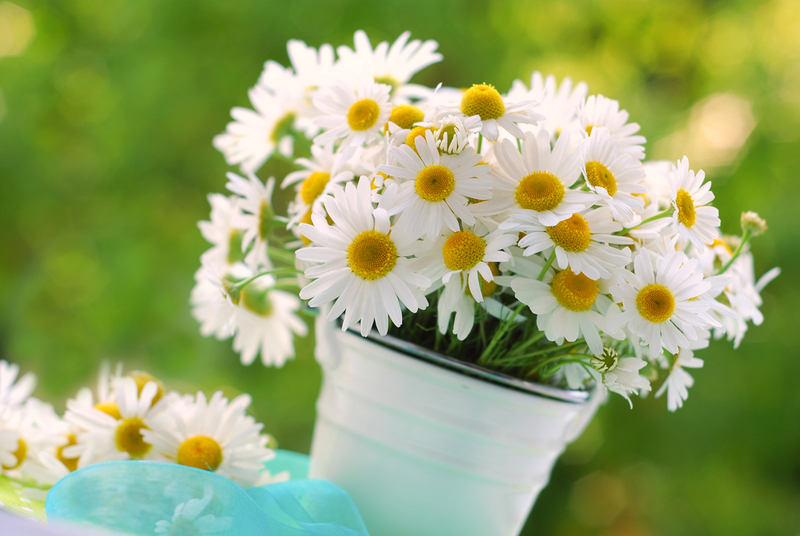 With its anti-inflammatory properties Chamomile works great for soothing mouth ulcers, sores, or irritated gums. Simply rinse your mouth with the tea cooled down to a room temperature, and feel the difference right away. If you woke up with dark under eye circles, a quick chamomile tea bag compress can significantly help calm puffy, tired, or irritated eyes. Simply use previously brewed and chilled chamomile tea bags as cool compresses on your eyes to relieve the swelling and dark circles in 10-15 minutes. A natural skin bleach, chamomile tea lightens the skin tone. It’s also a mild skin moisturizer, offering healthier looking skin with a glow. Chamomile tea can is also useful as a natural coloring agent for lightening hair and treating split ends. Use a mixture of chamomile tea (half a spray bottle), with a teaspoon of cinnamon and coconut oil, juice of 3 lemons and hot water (remaining part of the bottle) for spraying on your hair for natural looking color without the harsh chemicals. Anti-dandruff shampoos are great, but treating your scalp with chamomile tea is a great natural alternative. In addition to fighting dandruff, the flower helps strengthen the hair and treat various hair problems. Chamomile tea’s antioxidant property is perfect for soothing acne. For best results, drink the tea and then apply the tea bags to the affected area. Soaked tea leaves do not only act as an anti-acne agent, but also provide a healthy glow. Chamomile tea compress is amazing not only for fighting acne but also for reducing the appearance of scarring from acne. In this case it is best to use dried flowers rather than chamomile tea bags. After steeping and slightly cooling the flowers soak a fresh washcloth in the tea and place over acne scars. Leave for 10-15 minutes and repeat as needed. If you’ve ever had a bad sunburn in your life you know the pain. You might also know that fresh aloe works wonders for treating sunburn. But it turns out that mixing chamomile and aloe makes an even better ointment your skin will thank you for. For those who hate itchy bug bites, chamomile to the rescue! Anti-inflammatory properties and the ability to neutralize allergies is exactly what you need to calm those annoying bites. Freeze chamomile tea in ice cube trays, then apply one directly on bug bites for instant relief. You don’t have to be a health geek, herbalist, or Russian to take advantage of wonderful healing properties of chamomile. Russia’s national flower offers benefits for everyone who uses it. Enjoy both the mild taste and various therapeutic effects of the plant. Chamomile is a real godsend for people! I only wonder why more countries don’t make it their national flower? Want to Learn More About National Flowers? – Subscribe to our blog and don’t forget to share! – Visit our website to treat yourself or your loved ones to some chamomile tea which goes perfectly with delicious cake or chocolate.